Roti Pola is a four channel attenuverting CV mixer and offset with visual feedback in a small package. 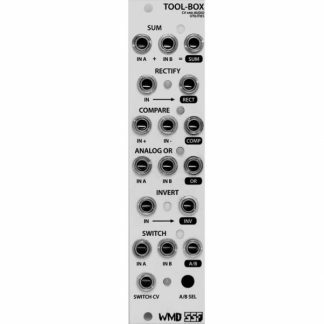 With nothing patched to channel 1, a 5v offset is applied to the mix, useful for controlling other parameters or modifying CV signals. Patch an LFO into channel 2. Patch the output to a CV input in your system. 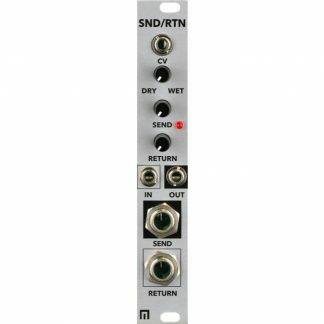 Use channel 2’s attenuverter to modify the signal, and observe the LED feedback given by channel 2’s indicator and the mix out LED. 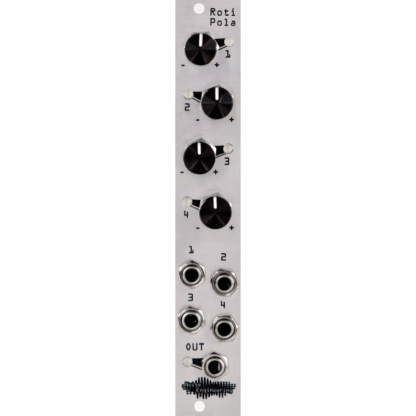 Next, play with channel 1’s attenuator to add an offset and see how your LFO signal is modified. 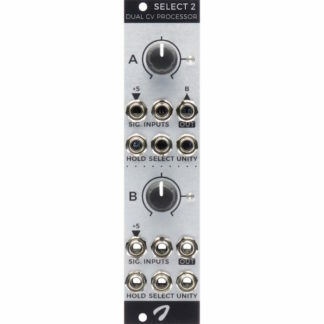 Patch more CV sources into channels 3 and 4 to create more interesting and chaotic modulation. Channel knobs 1-4: Attenuverters; with nothing patched into its input, channel 1 is normaled to a 5v offset. Corresponding channel LEDs show the signal post attenuversion being sent to the mixer. Green indicates a positive signal, red indicates a negative signal. Inputs 1-4: Input your CV here for mixing and attenuverting. Output: Final mix output. LED shows outgoing CV, with green indicating a positive signal and red indicating a negative signal.